A dream is the framework for your life. A Personal Vision Statement is an articulated, detailed description of how you want to live your life. Your Personal Vision Statement is how you commit to live your life. It both influences and integrates all eight areas of the Whole Person Model: abilities, interests, personality, values, goals, skills/experience, family of origin, and stage of adult development. Many people question the value of having a Personal Vision Statement, but research has consistently shown that having one changes people—for the better. People with a Personal Vision are typically inner-directed with a focus on the long term. They often describe themselves as living a balanced life, and are typically more satisfied, more productive, and experience more meaning and enjoyment in their jobs. In sharp contrast, people without a clear vision tend to get their direction from outside of themselves. They are driven by wealth and status, develop short-term solutions to problems, and are reactive in their decision making. They describe their lives as stressful and usually experience symptoms of burnout, lack of meaning, and an overwhelming feeling that their efforts are wasted. Which approach sounds more appealing to you? A reactive, stress-filled life, or a balanced, satisfying, meaningful one? Learn more about the Stress Cycle & the Balance Cycle. A Personal Vision Statement is a unique expression of what is important to you and serves as a guide for how you want to conduct your life. Creating one requires careful thought and reflection. That’s why we created the Don’t Waste Your Talent coaching program, to help you develop your Personal Vision to life and career fulfillment. With the expert guidance of your Highlands Certified Consultant, you will complete an array of exercises designed to provoke thoughtful consideration of who you are as a whole person, beyond your education and work experience (although those are included). Throughout the coaching sessions, you will have the opportunity to reflect more specifically on how your Personal Vision relates to your career goals, and take practical steps to identify and pursue the career that best aligns with that vision. Click here to see three examples of Personal Vision Statements. What’s the difference between a Personal Vision and a Career Vision? A Personal Vision relates to your whole life. A Career Vision helps you clarify what type of work best expresses who you are and where you are a fit; it allows you to clearly state and negotiate roles in which you are most productive and effective and that you find most satisfying. 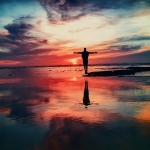 When you participate in the Don’t Waste Your Talent: Your Personal Vision to Life and Career Fulfillment coaching program you will develop both a Personal Vision and a Career Vision. Is a Personal Vision Statement fixed for life, or is it supposed to change? A Personal Vision Statement is a living document in the sense that it should remain as fluid and open to change as the person writing it. In other words, this is not a “one and done” manifesto. Once crafted, a Personal Vision Statement should be reviewed regularly until you automatically associate it with the basis for the choices and decisions you make. 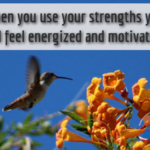 Step #1: Complete the Highlands Ability Battery to assess your natural abilities. Step #2: Review your Customized Reports that reveal what you are naturally good at. Step #3: Meet with your Highlands Certified Consultant who will interpret your results. Step #4: Create your Personal Vision with the Don’t Waste Your Talent coaching program. Your Personal Vision Statement will make the difference between living a balanced and purposeful life versus a stress-filled and anxious life. We think that’s worth the effort. Contact us today for assistance in locating a Highlands Consultant. 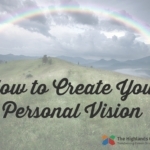 Continue reading "Highlands Whole Person Model and Your Personal Vision"
Continue reading "Choose to Succeed"
Continue reading "Career Management in Changing Times"